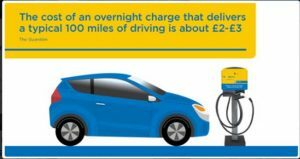 Home • Updates • Electric Vehicles – The Facts & Figures from Mr. Electric! 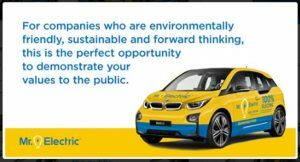 What do you know about Electric Vehicles!? These three slides show some simple facts & figures around Electric Vehicles and Charging. Mr. Electric is rapidly becoming an expert in this field and throughout our network, we have lots of installs underway. From large commercial installs to small domestic ones. No matter how big or small the install, the same ethos of saving the customer money, helping the environment and doing a great job is at the forefront of everything we do. 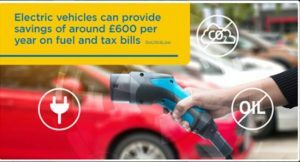 This recent report & fun video on ITV News gives further information on what cars to go for and once you have chosen your car, give Mr. Electric a call to carry out the installation of the charging point for you.